Bakery. In Brooklyn. With breads that just amaze with flavor. This is sprouted spelt. The description from their web site. 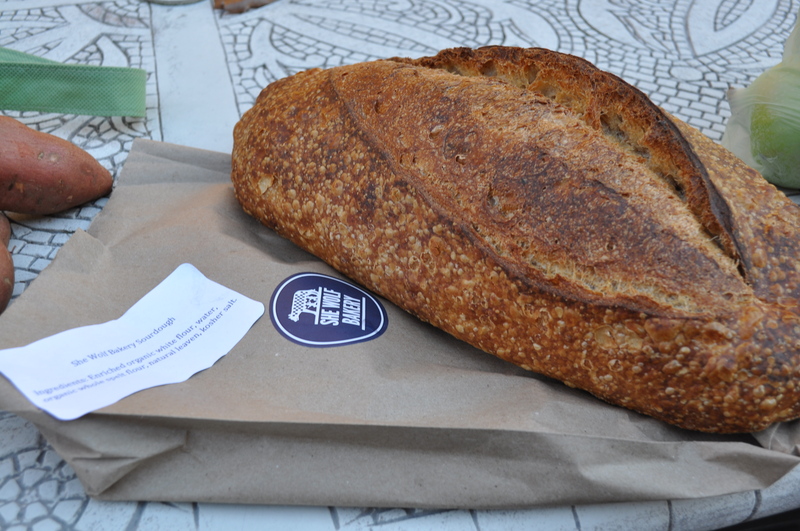 This is our second week of the fall Community Supported Agriculture from Lancaster Farm Fresh, and this season, the bread share is back. 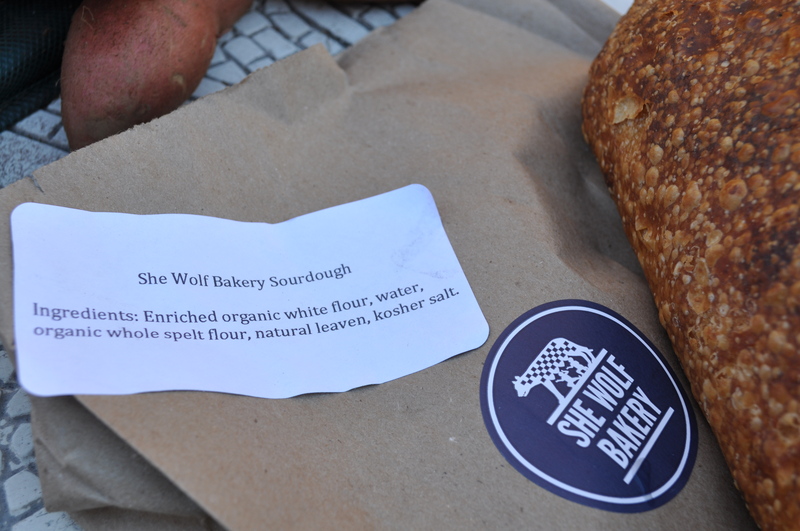 They found this bakery in Brooklyn. Our driver tells us he picks up freshly baked loaves on Monday when he delivers produce to the restaurants and the CSA pick up spots in New York. We get them on Tuesday. The first week, a sourdough that probably is close to the best one I have ever found. 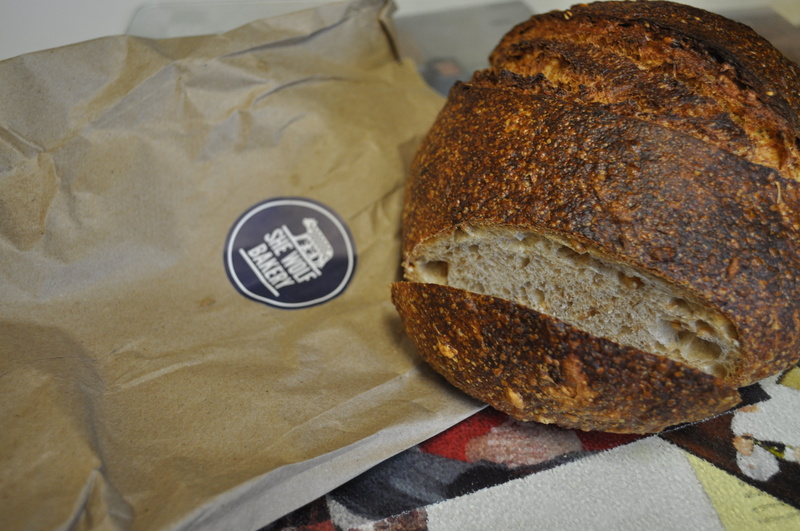 Chewy, dense, with just the perfect sourdough taste. We devoured that loaf in three days. I was considering adding a second bread share to have enough for a week. While searching for information on this provider, I found a video on Bon Appetit. It gives a little more insight into the bakery, and the baker. It doesn’t get much fresher, and it’s why I love buying from smaller regional producers. I hope they offer this bread in the other seasonal CSAs, but I wonder if they can cover the demand. The last bakery, in Lancaster, couldn’t handle the numbers that our CSA wanted. I think that’s a good thing, in my view. We are supporting and nurturing more small entrepreneurs and looking for the best quality, and not going to the big box stores and the chain stores. Can’t wait to see what ones we get for the next six weeks. Crossing my fingers for caraway rye and for miche. Posted in Commentary, CSA, Food, LFFC, Locavore, Real Food and tagged CSA, Food, foodie, Locavore, real food, value of CSA. Bookmark the permalink.